As the world’s largest fruit, orange is the third largest trade agricultural product after wheat and corn, which is cultivated in more than 140 countries and regions in the world. After pressing, orange juice contains water, sugar, acid and small amount of aromatic substances, essential oils, vitamins, enzymes, amino acids, lipids and limonins, etc. 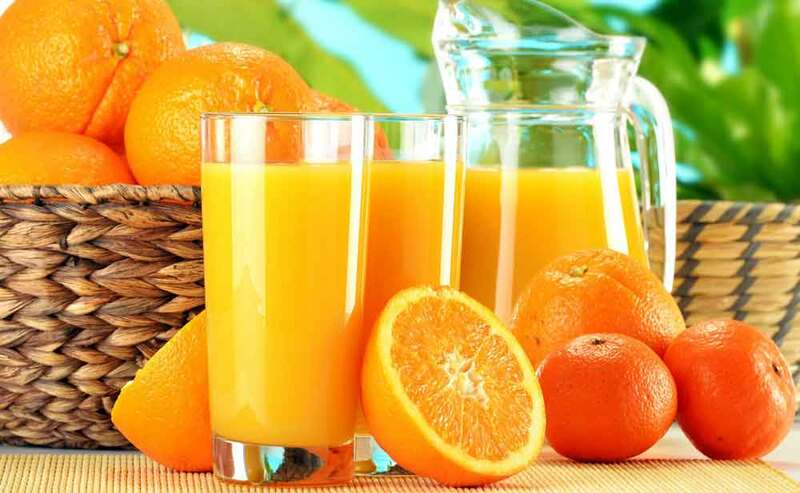 Citrus juice has a unique flavor, suitable comprehensive flavor of sweet, sour, and bitter, fragrance, color and soft, smell fragrant, soft color, which is loved by masses of consumers. Orange juice processing line is made of a series of machinery, including sorting and washing equipment, essential oil extraction machine, peeling and squeezing machine, refining machine, filling machine. How to build your own orange juice plant? Food grade 304 austenitic stainless steel material is used in all parts of the juice processing machinery, anti-blocking roller conveyor, Ensuring that the orange is transported forward and rotates at the same time, maximum limit to prevent missed and sanitary dead in juice making. The drum space of sorting machine can be adjusted according to the differences of fruit, preventing the missed and blocking. PLC full automatic control, variable frequency control, smooth operation, noise is not greater than 80DB. The sorted oranges can be transported to the designated location by floating hydraulic launder which is under the washing machine, clean and easy to manage. According to the structure, sorting machine can be divided into rollarounds type, chain type, flat type, in order to fit the use of various materials. Brush cleaning machine is also called brush roller cleaning machine, which is used for cleaning and sorting of carrot root vegetables such as potatoes, and mango, coconut, watermelon and citrus fruit material. 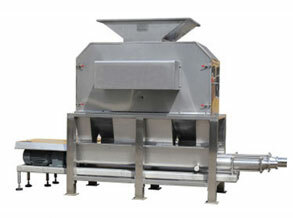 It is an indispensable part of juice processing machinery. Brush cleaning machine adopts food grade conveyor and cleaning brush, high pressure spray with rotary brush, cleaning effect is good, and can thoroughly clean the stains on the surface of fruits and vegetables. Multi angle cleaning, no dead angle, completely remove pesticide residues on vegetables and fruits. Low energy consumption, high yield, green environmental protection and health. 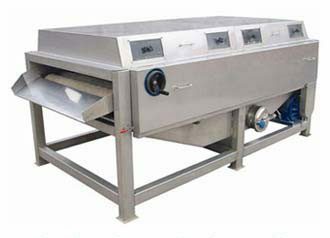 Unique rolling rod style transport structure, soft delivery and automatic turnover of fruits and vegetables, wash clean without damaging the skin of fruits. Full automatic control, cleaning time can be adjusted freely. Transparent windows, visual monitoring of the whole process of sterilization and detoxification, safety and rest assured. Vortex spray type water flow impact cleaning, to ensure the orange does not have heavy mechanical damage. 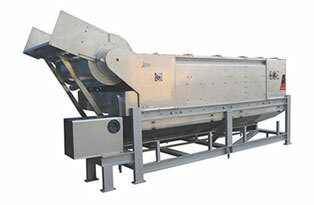 Roller conveyor, drying fruits surface more thoroughly. 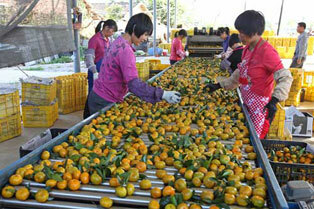 Electronic weighing type sorting oranges, more accurate. The whole machine is made of high quality SUS304 stainless steel, which is in line with the national food export standard.